A unique jacquard impression creates a diamond pattern that is complemented by tasteful plush accents. 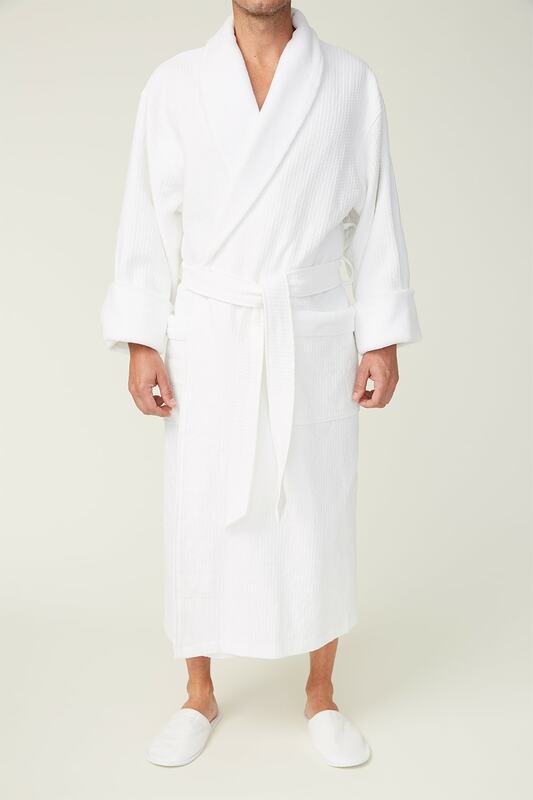 Designed for maximum comfort and durability, this heavyweight waffle shawl collar bathrobe has accent plush lining in just the right places. 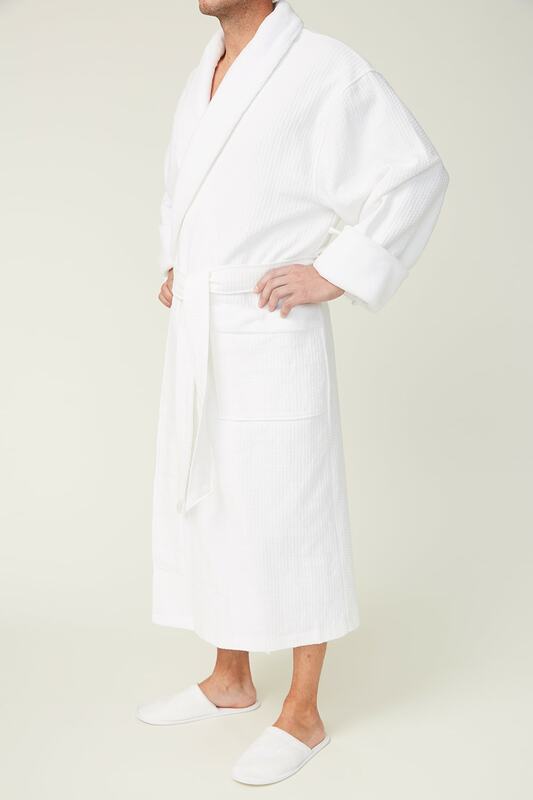 Bathrobe details include adjustable belt loops for flexible belt height, patch front hip pockets, hanger loop for convenient storage and accent plush lining at pockets, sleeve cuff and collar.